Then you hear about a possible OSHA visit to your facility. The first thing you do is hit the panic button. But you don’t need to! With aerial lift and scissor lift training, you’ll have everything you need to be prepared for the Occupational Safety & Health Administration (OSHA) inspections. Our training packages provide OSHA compliance for any aerial lift operator or scissor lift worker. 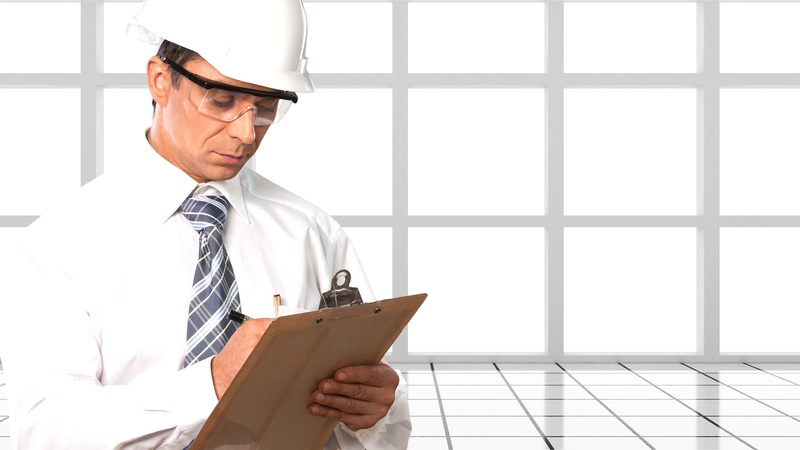 In the event of an OSHA audit or inspection, your employee training records will be examined. And if they don’t have the proper training credentials, your operation is considered non-compliant. Nobody wants the non-compliance label – and that includes both employees and employers. If you’d like to know how to prepare for an OSHA inspection, keep reading! OSHA Visits – Do They Really Merit Sleepless Nights? You’re probably aware that the Occupational Safety & Health Administration (OSHA) can levy some pretty hefty fines. But they’re not that bad right? Ask Wegmans, the supermarket chain. Earlier this month, the company was fined $188,000 for safety violations. Many violations routinely exceed $100,000, especially for repeat violations. If you’re not sure how to prepare for an OSHA inspection, you could be looking at heavy fines and penalties. The amount of money alone is enough to warrant the panic button, correct? Not if you know what to expect. But there’s an even more important aspect for OSHA inspection preparation, but we’ll get to that later. According to an official U.S. Department of Labor memo, the OSHA inspection is clearly defined. But keep in mind, there are only a handful of reasons that OSHA will give your company of an advance notice before an inspection: for urgent safety matters, accidents involving fatalities, scheduling conflicts with managers and in the event “special preparations” are necessary. Don’t think these reasons couldn’t apply to your company. If you’re not sure about your safety protocols, you might be a prime candidate for an OSHA inspection. Know how to prepare for an OSHA inspection or audit! 1.) Initial meeting and / or conference call: On the day of the inspection, the OSHA representative will arrive at your facility and will ask to meet with the management representatives and employees. They will explain the purpose of the inspection and will usually check the log and summary of occupational injuries and illnesses before the walkaround. This process can take anywhere from 30 minutes to a few hours. 2.) A “walkaround,” where OSHA safety inspectors will examine all manner of your operations, including those you may not consider safety violations: Once the walkaround starts, you’re at the mercy of your own safety practices. However, if you had issued a complaint, then you would have been given time to figure out how to prepare for an OSHA inspection. When this is the case, you’ll want to check all safety and health hazards mentioned in the complaint. It’s then up to the inspector to possibly check for other hazards or the entire workplace. If there was an accident or other type of incident, the inspector will most likely talk to affected employees and may interview them privately. The inspector may also use special equipment to test for dust, fumes, or other hazardous exposures. It’s in your right to ask about these tests and to receive a summary of the samplings. The walkaround phase of the OSHA inspection could also deal with employee training records. OSHA may ask to see employee human resource files, which should include all training credentials. If your company has aerial lift and scissor lift workers, these training credentials need to be in the files. If not, expensive fines and penalties are a possibility. – Mechanical operation. If your aerial lift or scissor lifts aren’t working properly, injuries or accidents could result. – Maintenance plans. Your lifts should be regularly inspected and maintained. If not, OSHA can fine your company thousands of dollars. Make sure you have a maintenance program in place! – Employee training records. As we already mentioned, OSHA may ask to see employee training credentials. It is illegal to operate any aerial work platform (AWP), aerial lift, or scissor lift without proper training. 3.) Closing meeting, including notes about the walkaround and possible future actions: The OSHA inspector will discuss any apparent violations and the solutions to correct the hazards. They may also provide deadlines for these fixes, and possibly written fines to the establishment. During an inspection, keep detailed notes. It’s vitally important to gather whatever information the OSHA inspection officer provides. It’s really only possible to prepare for an OSHA inspection if you filed a complaint and asked for an inspection. Yes, that does happen. If you, as a member of management, or a worker came to you with a safety concern, you have the right to contact OSHA and ask them to visit to perform an inspection. They may not tell you the exact day and time they will be visiting, but for serious concerns, you can expect OSHA to visit within thirty days. As a member of management, you may want to inform co-workers and union members of the filed complaint so that they can gather their comments and questions for the inspector. You need to know how to prepare for an OSHA inspection. There’s only one “right” way. You need to make sure your employees are up to date with the latest OSHA compliant training. That goes for your aerial lift, scissor lift, and AWP operators. Note there are only 4 cases that would require a scheduled visit. All other OSHA inspections are surprises, so there is no “time to prepare.” Actually, there is – by ensuring all of your aerial lifts, scissor lifts and other industrial equipment is properly maintained, safely operated and working in a hazard-free area. CertifyMeOnline.net is the expert in your corner. It’s not just important that you train your workplace in safety and accident prevention; it’s also crucial that you document training and have the proof to show to OSHA inspectors! The OSHA-compliant training program from CertifyMeOnline.net teaches operators how to operate the equipment safely, according to your workplace, and how to recognize and avoid hazards that can cause accidents. It also teaches how to perform daily inspections of the equipment, how to assess the environment for hazards, and how to remain compliant on all relevant OSHA standards. Nothing is more important than the safety of every aspect of your workplace, and that’s exactly what we cover in our complete aerial lift and scissor lift training course. Certification is essential for all workers who operate or work directly alongside aerial lifts and scissor lifts. Once trainees finish our online course, they will be able to print their operator certificate immediately. – Free three-year renewals for life! To understand how to prepare for an OSHA inspection, give our aerial lift experts a call today at (602) 277-0615, or check out the contact page. Avoid those $188,000 fines – call us now!